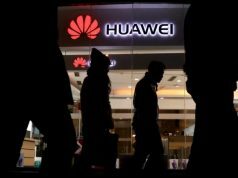 Leading global provider of ICT infrastructure, Huawei said it is committed to helping enterprise organisations expand the boundaries of their businesses, to find routes to new growth, explore innovative technological solutions and build new opportunities. At the ‘Huawei Nigeria Eco-Connect 2019’ in Lagos which was well attended by over 500 Huawei channel partners, the CEO, Huawei Enterprise Nigeria, Tank Li, expressed his delight in the growth of ICT in Nigeria and unfolded Huawei’s plans to deepen its investment in Nigeria. Tank Li said “Three years ago we only had 20, or maximum 25 channel partners in this kind of event, but today, we have more than 500 channels registered. This shows the great confidence that we put in this country, Nigeria. According to him, Huawei also aims at enhancing its relationship with its partners to further develop the Nigerian market. This will be achieved by creating an ecosystem around the partners. He emphasized this stating “…in our enterprise business, our core value is really to build an ecosystem with our partners together. Tank Li speaking on Huawei’s determination and commitment to put more investments in Nigeria and in the ecosystem of its partners, also said, “Our partners are the most important platform. Huawei enterprise core values are to be customer centric, inspire dedication, preserve and grow by reflection. 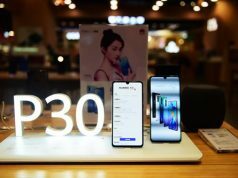 Tank Li added that creating value for customers was the only way for Huawei to guarantee its value, as the company’s success depended on the success of the customers. At the event, the company announced that Huawei Cloud is now available in Nigeria, offering commercial services. According to Mr. Olusoji Adeyemo quoting Mr. Edward Deng, vice president of Huawei Cloud Business Unit, “Africa is one of the most diverse and promising emerging markets globally with tremendous potential, and cloud services are expected to unleash the latent capacity and drive the growth in the country”.